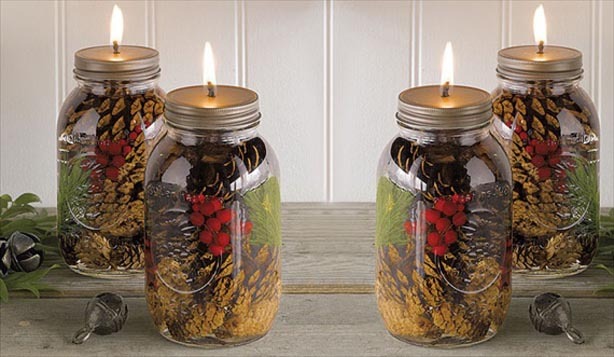 My easy christmas candle decorating ideas are here for all of you to brighten up your home for the holiday season. Christmas candles are an important part of christmas decorations, christmas party/celebrations seems incomplete without candles. 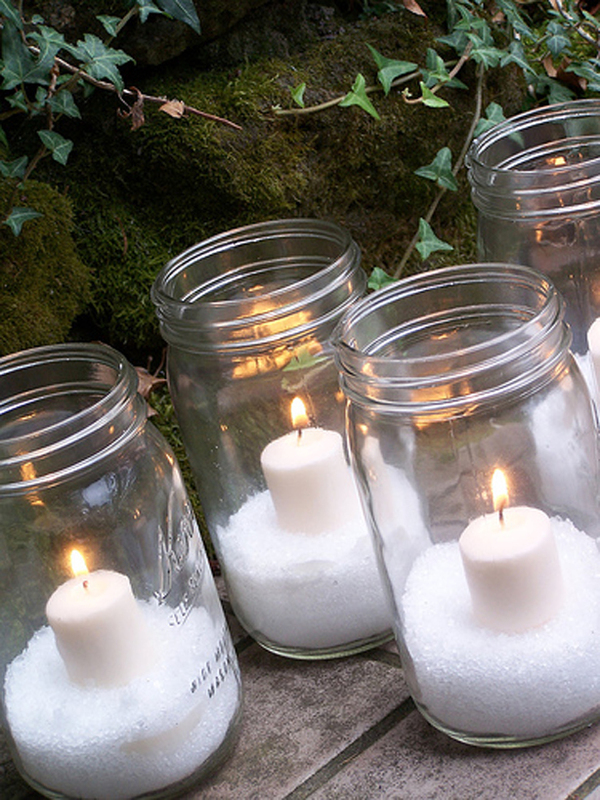 Candles produce a dramatic atmosphere that is perfect to welcome your guest. Christmas the event of joy and pleasure seems have no taste without candles. 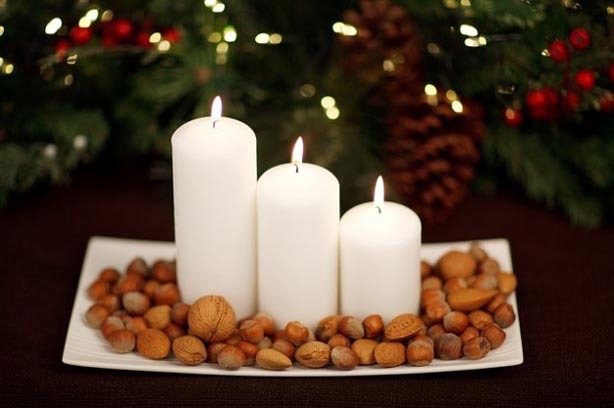 In christmas celebrations candles bring the propitious atmosphere that doubles the happiness of holiday season. Candles are perfect when it comes to decorate home for special event like wedding, birthday and christmas etc. 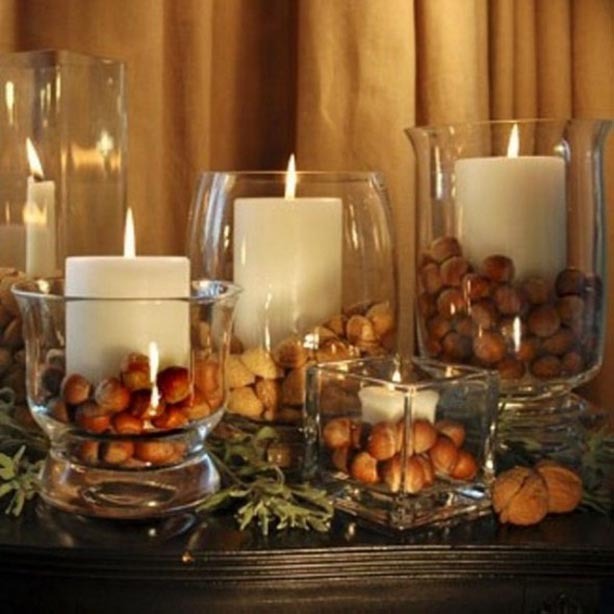 Candles can be used to decorate table, window, fireplace staircase,or simply hang them up. In market branded candles are available in different forms, colors and shapes that are very much expensive however, buy using ordinary candles you can create the same passionate glow and warmth, the thing is that how creative you are??. Explore new ideas on internet to get inspirations. Take wine glasses of different heights to use as candle holders. 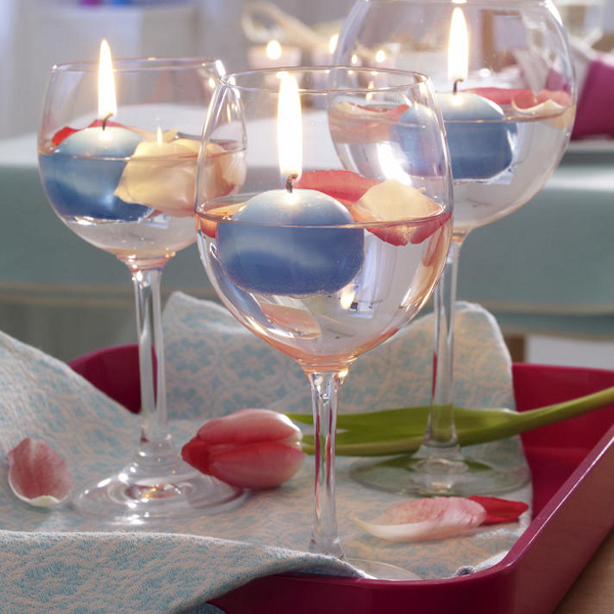 Pour some water in glasses and put some rose petals and a floating candle in each glass. 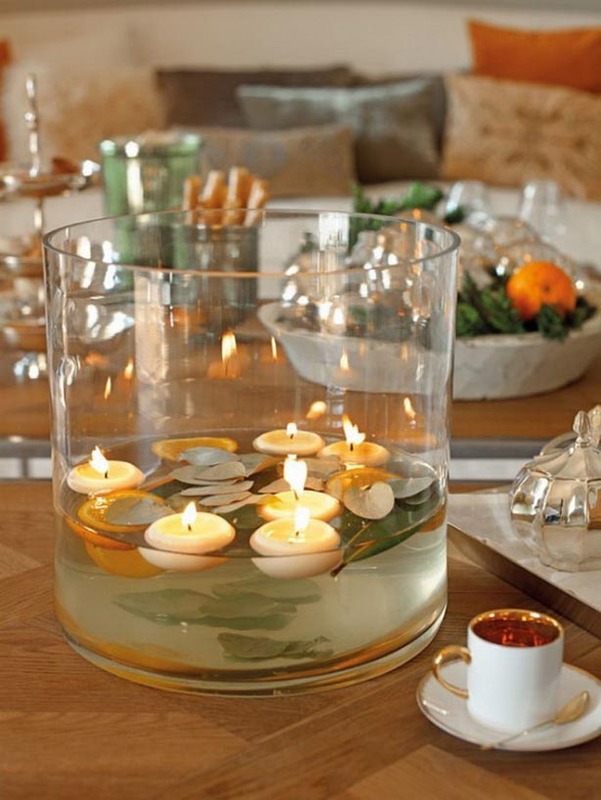 You can prepare floating candles easily at home with old wax. Create a centerpiece for decorating dinning table for dinner. 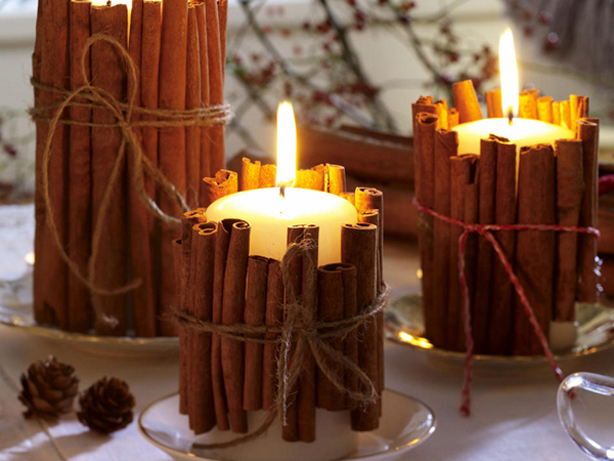 Decorate pillar candles with whole cinnamon sticks and place them in saucers. 4. 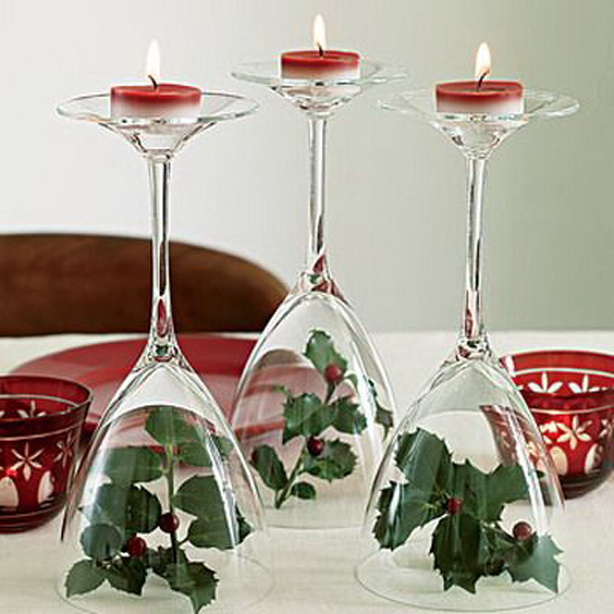 Inverted wine glasses as candles holders to decorate dinning table.